In this brilliant new work of fiction, Gregory Maguire turns his dazzling imagination to the question of underworlds, undergrounds, underpinnings—and understandings old and new, offering an inventive spin on Carroll’s enduring tale. 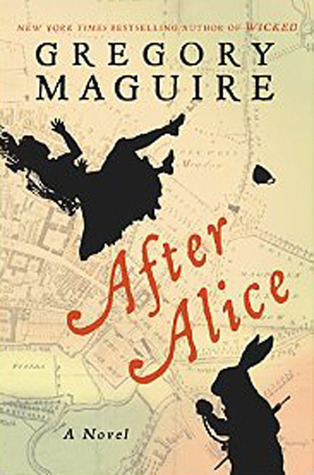 Ada, a friend of Alice’s mentioned briefly in Alice’s Adventures in Wonderland, is off to visit her friend, but arrives a moment too late—and tumbles down the rabbit hole herself. Publishing October 27, 2015 by William Morrow. Ah, Gregory Maguire's 'updated' fairy tales. This one sounds fun. I have an ARC of this which I hope to read early October. I am really looking forward to it. I've been enjoying the Alice retellings lately, will have to give this one a try! Great pick!